Born in Bon Air, Deborah Castiglione graduated from Conemaugh Valley High School in 1974, and was soon hired by Slovenian Savings & Loan. At the time, the Conemaugh location was Slovenian’s only branch office. She notes that her career has spanned many changes in the banking world, from banking laws and regulations to technology – “from carbon paper to computers,” she laughs, noting that she still keeps a few sheets of carbon paper as a reminder. When Debbie started her career with Slovenian, there was one location and six employees – today, there are five locations and 37 employees. But throughout the years of growth and change, some things have remained the same. 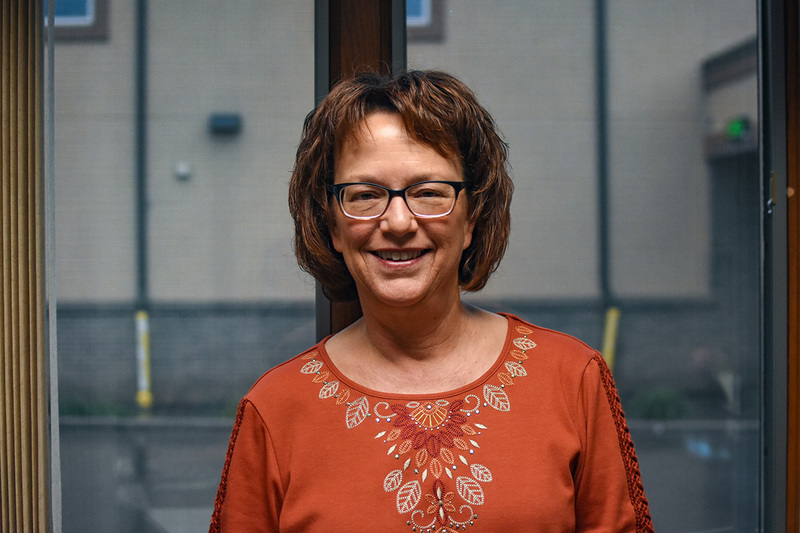 In addition to her duties as manager for the Moxham location, Debbie has served as the secretary of the association’s board of directors since 1988. Debbie currently resides in the Cover Hill neighborhood of Conemaugh Township.